Hello, my name is Taishiro Sonae, and I will be responsible for editing the journal of world government institute this time. Although this magazine has been in a dormant for a certain period, this just got reactivated as I was given a nomination by our president Mr. Toshio Suzuki. I would look forward to taking the next steps for further progress. 1. Proposal of the establishment of “United Nations Youth School” for the revival of Japan. As one of the school curriculums, I had a chance to make a presentation about our team research in front of the ambassadors of many countries, a representative of Japan at World Bank and so forth. The topic was “a new method of executing the Marshall-Plan for the aids in Africa”. In particular, I explained the importance of establishing a new authority which will monitor the flow of supply to be distributed to the right places. 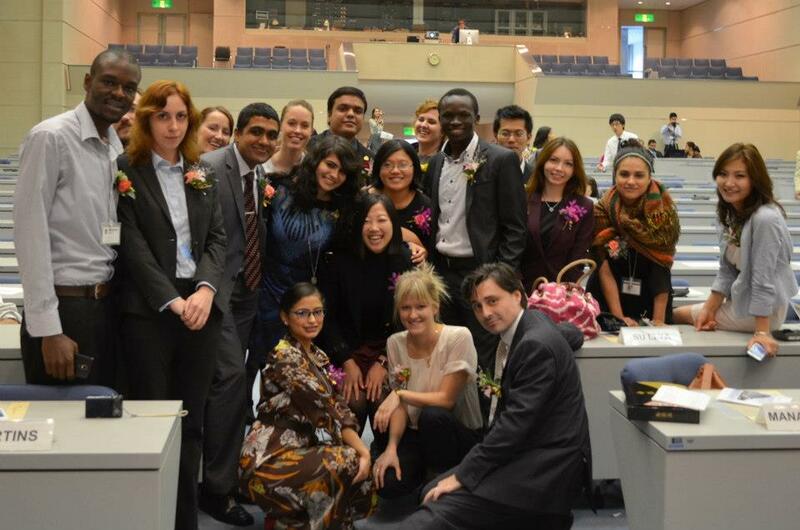 The photo below was taken at the time of graduation from United Nations University.